Sometimes we need to hear stories of others not only because it gives us support but also to know that our experiences have meaning. To know that what you went through is both unique and similar to someone else in the world. This is part of the reason I began my initial novel Searching for Something Unknown. 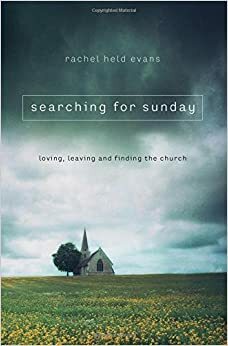 For research-I decided to look into what others were writing about their church experiences and I cam across Rachel Held Evans’ new book Searching for Sunday. Originally I was not going to read it–thinking I had come across another “Christian motivation” book that I would just get bored with someone explaining how I should live as a Christian woman instead of coming to where I am in my life and journeying with me. Evans structures the book by walking through the sacraments while walking through her transitions from growing up in church, leaving her home and coming to find church again in a revived church. 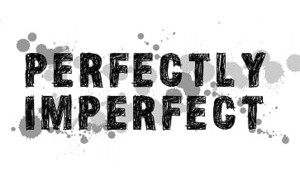 This is exactly what I wanted to describe in my novel. Not exactly this story–but I wanted to write/am writing a tale where the main character finds the church as having meaning despite going through a terrible event. I feel that several individuals in my generation leave the church and never come back. And it breaks my heart. I am a person who wants to fix what we have instead of leave and let it be. So it was a relief when Evans started describing events how she left her church and started a church plant. I have been there and while did not get as involved in a church as I like, I did try my hand at running a 24-hour prayer room after college and it was beautiful. The most peace I have felt in all my life–mainly because I could feel Gods presence living and breathing there. Rachel talks about this in some parts–Being present. Being with others in Christ like love to further the Kingdom. So if u need a soaking read–this is it! This entry was posted in Reading Records, Theological ThinkTank and tagged searchingforsunday, theological thoughtbs.